Two steps forward, one step back. Since the beginning of the season, this has been the story of the Thunder’s season. Since starting the season 3-12, the Thunder have gone on to win 14 of 20 games, which translates to a .700 winning percentage. But it seems like once they get it going, something happens that stops the momentum dead in its tracks. Be it an injury, a bad call, or a core-rattling midseason trade (we miss ya Lance), something always seems to derail the momentum train. The Thunder once again find themselves on the lower end of the win-loss spectrum. With Phoenix catching fire all the sudden, the Thunder need to put together a string of victories to at least keep within striking distance of the 8th spot. The narrative is always that there is plenty of season left. But the Thunder are 5 games from the midway point, and a sense of urgency has yet to develop within the OKC mindset. Hopefully, what I see as a lack of urgency is actually just a quiet confidence that has been fostered from experience. 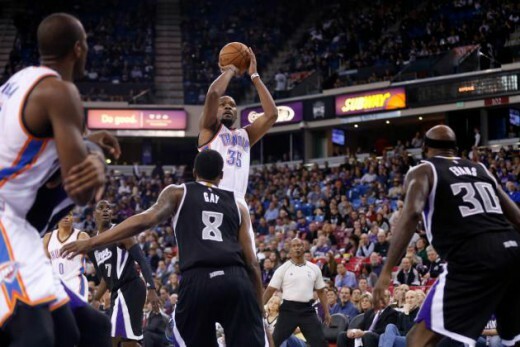 This is the 3rd of 4 meetings between the Thunder and the Kings. Oklahoma City won the previous two meetings by an average of 10 points. This is the first game between the two teams where each team is relatively healthy. In the first meeting, the Thunder were without Russell Westbrook and Kevin Durant, and in the second meeting, the Kings were without DeMarcus Cousins. The Sacramento Kings’ record currently sits at 14-20. After starting the season 9-5, The King have gone on to lose 15 of their next 20 because of injuries to key players and front office turmoil, which resulted in the firing of head coach Mike Malone. The Kings’ issues can be traced directly to their defense and their lack of ball movement. Even though they score 102 points per game (good for 13th in the league), they give up 104.4 ppg on the other end. And they rank 28th in the league in assists at just 19.8 per game. Their offense runs through Cousins, but he does a poor job of finding shooters on the wings when he has the ball. That’s unfortunate because the Kings have 3 starters (Darren Collison, Rudy Gay, and Ben McLemore) who all shoot 36% or better from the 3-point line. Inside, they have a glut of power forwards (Jason Thompson, Reggie Evans, and Carl Landry) who aren’t necessarily great at any facet of the game. Their bench is deep, but is still one of the more weaker ones in the league. Ray McCollum and Nik Stauskas will likely see more minutes off the bench tonight due to injuries to Ramon Sessions and Omri Casspi. 1. 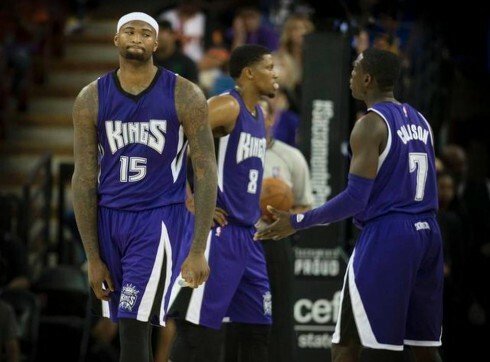 Rebounding – The Kings aren’t good at a lot of things, but they are pretty good at rebounding. They grab 44.5 rebounds per game, which is good for 8th in the league. Cousins averages 12.1 boards himself and the trio of power forwards grab 17.5 boards a game between them. If there’s one thing that gives struggling teams momentum, it’s offensive rebounding. The Thunder bigs need to do a good job of boxing out and getting the 50/50 rebounds..
2. Get to the bench – The Kings’ starting 5 accounts for 76.3% of the points the team scores. Two of their top scoring reserves are out for tonight’s game. If the Thunder can get the starters in foul trouble, the Kings may have to use their bench more than they would like. 3. 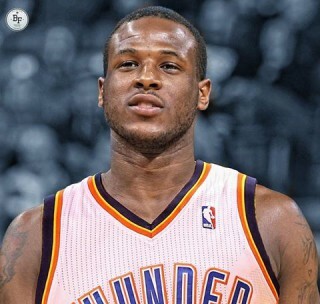 Dion Waiters – It’s Christmas in January! Newly acquired guard Dion Waiters will be in uniform tonight and available. It will be interesting to see how and where head coach Scott Brooks will use Waiters.